If they believe what they argue, then they would/should sue the government if @POTUS withholds the benefit of the illegal immigrants from the sanctuary cities and states that want them. Again--thoughts? What are other ways to see this? Most ppl reading this know Wikipedia pages are often controlled by various propagandist ("volunteer editors"). The entry on the "dossier" needs some "updating." Wikipedia says: "In May 2018, former career intel officer James Clapper stated that "more and more" of the dossier had been validated over time." Wikipedia quotes a "Lawfare" blog, which is merely a Comey pal who started an activist blog about weaponizing the law to do things like oppose Trump. Wikipedia: "according to a December 2018 Lawfare retrospective, "none of [the dossier], to our knowledge, has been disproven." For those who are interested, I will write more about it as soon as I'm able and let you know next steps! Thanks for your interest! “I don’t ever prepare a speech. I don’t write out what I’m going to say. I remember driving to that, I was, like, ‘What do I say? Maybe I’ll just introduce myself. I’ll take questions.’ Cont. 2) "I got in there, and I don’t know if it’s a speech or not, but it felt amazing. Because every word was pulled out of me. Like, by some greater force, which was just the people there. Everything that I said, I was, like, watching myself, being like..." Cont. 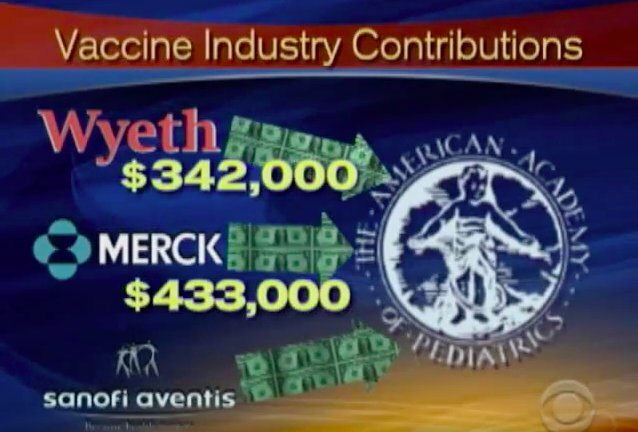 I've never been nor written anything anti-vaccine (although that's the line of the Pharma narrative when reporters or scientists report on vaccine safety issues). My reporting on vaccines/autism has even been cited in the New England Journal of Medicine. And I think people who follow the issue know that my Benghazi reporting (most of which relied on Obama administration sources) was accurate and recognized with an investigative Emmy nomination. THREAD: This poll may be spot on— and polling is tricky business. But just to a regular person like me, one of the most important factors in a political poll would seem to be how many Ds v Rs were interviewed. For ex, if a poll were to show a R candidate leading a D candidate 60% to 40%— it sounds like a big R lead! But if you learn the poll surveyed 65% D & 40% Rs— then the R could actually be under water (unless the voting population actually turns out at a rate of 65% Ds & 40% Rs). So party breakdown seems significant. 1/3 My liberal friends think it’s important to say the man accused of mailing the devices is said to be a big Trump supporter. My conservative friends think it’s important to say there’s supposedly social media evidence he’s (been) a committed liberal. (2/3) 1. Whether it’s shooting Republicans or sending devices to Democrats — maybe it’s just a bridge too far to blame the other side/politics. 2. Sometimes, crazy is just crazy. 3. Nonetheless, it would be nice if all of us could dial back any hateful rhetoric — just because! 2/3 Emails signal conversations gmails. Senators children’s health information and socials.” Makes ya wonder if other IT people on Hill, or bad actors in our intel community collect blackmail info to keep mouths shut or force certain actions. Doesn’t it? 2/2 (PS Govt. sealed vaccine-autism case & payment so other parents wouldn't find out.) The NEJM letter from Johns Hopkins neurologist (Dr. Poling) references my reporting for CBS News on conflicts of interest of Dr. Offit and others. It’s more reason you cannot necessarily believe what’s reported and repeated, no matter how many are reporting and repeating it. Make up your own mind. You can see for yourself. Here’s a link to today’s Senate Judiciary Committee hearing. I’ll include time code notes on the subsequent tweets. 1/3 From Sept. 7 2017: "In a stunning filing last night, the Dept. of Justice stated in a court case that neither the FBI nor its National Security Division ever wiretapped Trump Tower, contradicting a bombshell claim Pres. Trump made in a series of early morning tweets March 4."